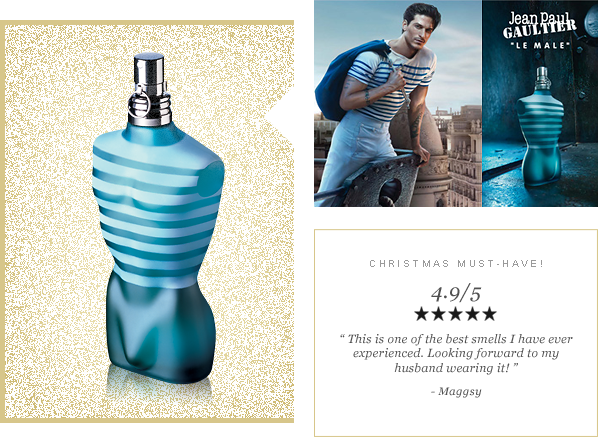 There’s no doubting that Jean Paul Gaultier Le Male is a fragrance classic. The barbershop blend of mint, lavender and vanilla has a virile, bracing character, and vociferous sillage that it refuses to be ignored – and that’s before we even mention that iconic bottle. This entry was posted on Monday, November 25th, 2013 at 12:27 am and is filed under Fragrance, Men, Offers. You can follow any responses to this entry through the RSS 2.0 feed. You can skip to the end and leave a response. Pinging is currently not allowed.